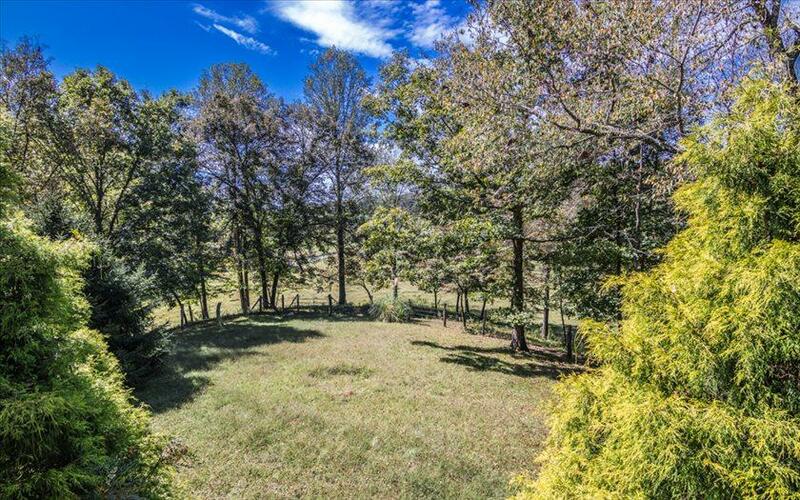 This luxurious mountain lodge is part of a 15.3 acre farm nestled within a short distance of historic Downtown Blue Ridge. 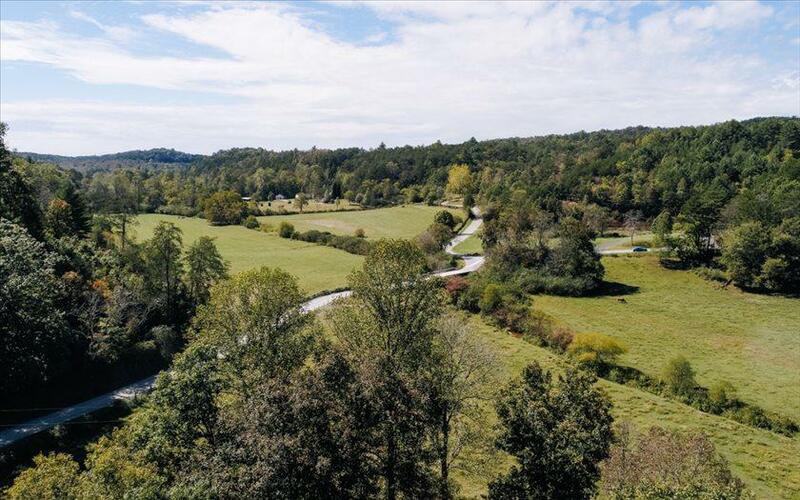 The serene location offers complete privacy for relaxation away from the hustle and bustle, flowing creek/stream, and pasture. This stunning setting serves as the perfect backdrop for this mountain retreat that boasts 4 master bedrooms 2 on the main & 2 downstairs. Each bedroom can accommodate a king size bed, private bath with custom tile finishes and walk-in closet. 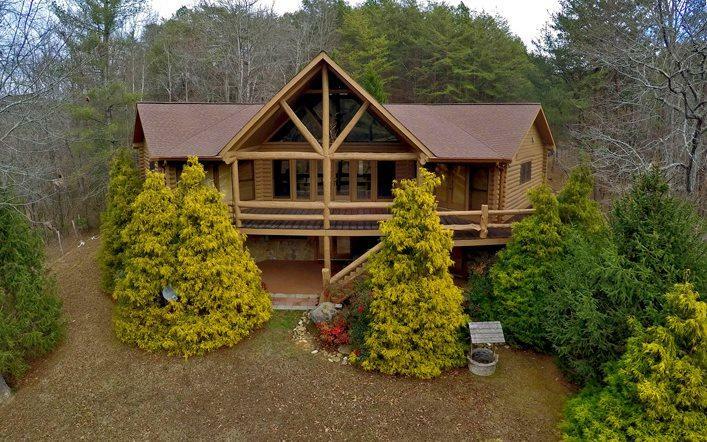 The large open floor plan offers a chalet style "wall of windows, work-in kitchen, and large family/greatroom. 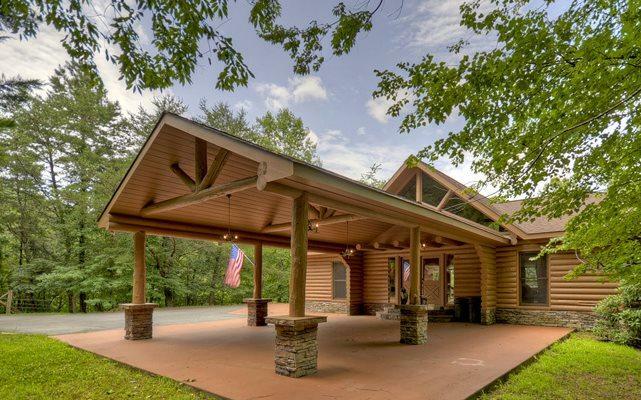 Enjoy peace and tranquility from the outdoor patio with hot tub, or from indoor fireplaces located in the great room and basement with full wet bar. No restrictions leave endless possibilities, and outdoor storage is perfect for your mountain "toys!